Bravo! The best book I’ve heard in a long time! Excellent all the way around! Great story and narration. 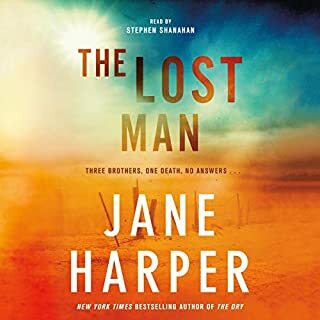 I can’t wait to read more by Jane Harper. 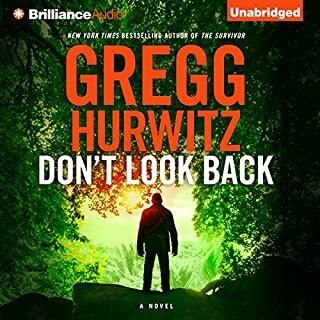 Love Gregg Hurwitz but couldn't finish book. We'll written but I'm not really into the subject matter. 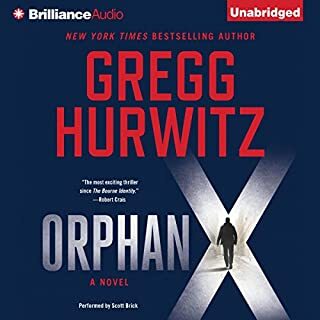 Love Gregg Hurwitz's other books but had to return this one. So many others to read. Just the Right Amount of Everything! What made the experience of listening to Spoonbenders the most enjoyable? 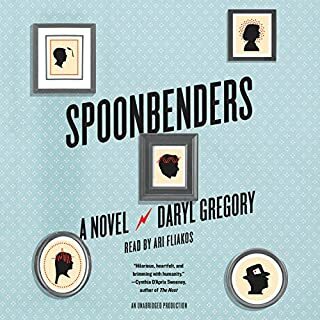 Spoonbenders is a great, silly, feel good book. As someone who listens to a lot crime and suspense novels it's nice to take a break and laugh. I thoroughly enjoyed this book! Have you listened to any of Ari Fliakos’s other performances before? How does this one compare? I first heard Ari Fliako's narration in The Nix. He is was one of the reasons why I purchased this book. I like Ari because he's not over dramatic like some narrators. Ari Fliakos is one of my favorites. 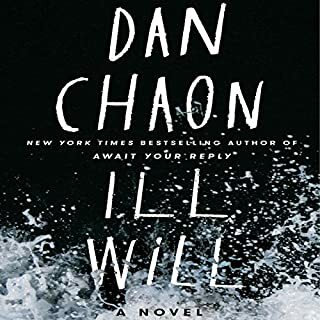 This is a great summer read/listen! Gripping Book! Listened All Weekend Long! Just not enough hours in the day or I'd listen to the whole thing. This is a story of human trafficking that I wasn't expecting especially from the title. 10 stars for the narrator Brittany Pressley! 6 Stars If There Was Such A Thing!!! You can't go wrong with this one! So many twists and turns. Love it! I was recommended this book over and over. From the description I thought it would be another predictable, macho, assassin, Jason Borne type. I was pleasantly surprised. Orphan X has better setup and more realistic situations and humor in his life trying to fit in. 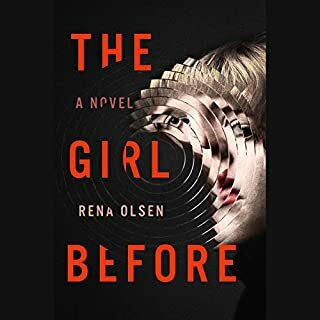 I liked it very much and can't wait for the next in the series. Solid Michael Connelly Book. My Favorite So Far. 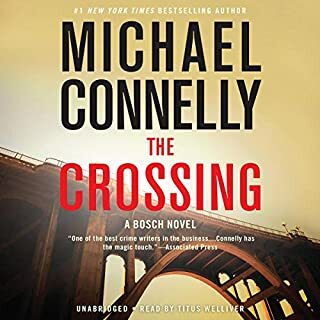 I love the Harry Bosch and Mickey Haller books this is both combined. You can't go wrong. Have you listened to any of Titus Welliver’s other performances before? How does this one compare? I've watched Titus Welliver in the Bosch series on Amazon and he nails it. He's perfect as the narrator on this too. Felt So Emotional and I Loved it! This definitely ranks up there with my top 5 books. . Reminds me of Clint Eastwood's Gran Torino. Never have I enjoyed laughing and crying while listening to the same book so much. Loved it! 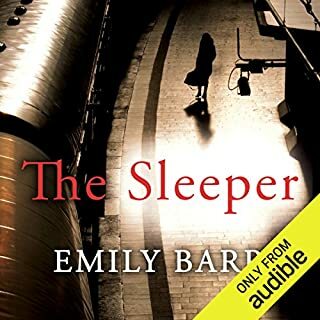 Where does The Sleeper rank among all the audiobooks you’ve listened to so far? 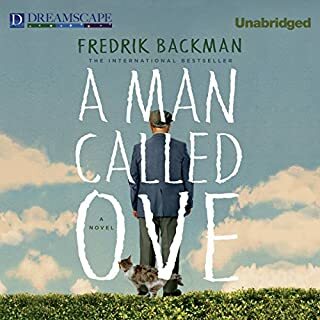 A lot of audiobooks don't leave me in suspense but this one did!. Great twists and turns. Just when I thought it was becoming predictable....Nope! Great book!! Not A Good As Dark Things But Good! 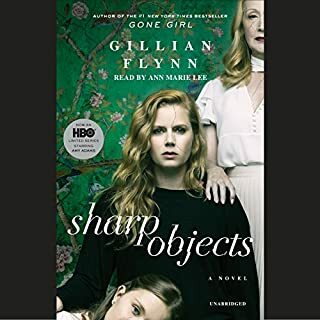 What made the experience of listening to Sharp Objects the most enjoyable? I love Gillian Flynn's writing. She's dark and delicious. This isn't my favorite book of hers but still it's quite good.